Planning for a wedding can get absolutely crazy. From sorting out guest lists to deciding on a reception menu, there are many details to go over before your big day comes together. 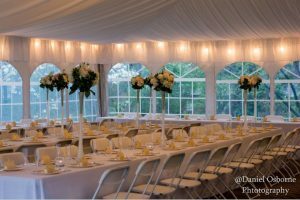 Two of the first and most important details are your wedding venue as well as wedding colors. Here are a few of our suggestions to make deciding these two important details a little easier. Do you want to have a large dance floor? Are you considering a place where guests can get drinks and mingle comfortable? How is the lighting and acoustics of your venue prospects? How far is it from your ceremony location? These are all determining factors that can help narrow down your search. Historic Oakland is an excellent option for hosting your wedding day! Sprawling landscape, enough room for guests and exquisite decor are some of the few great details Historic Oakland has to offer.Once you have said yes to the right venue, it’s time to start looking at wedding color palettes for wedding party attire and decor. Show off your personal style and tastes with a wedding color palette that tells the story of your romance. Get creative with how you use these wedding colors, through incorporating them in bold ways, such as wedding party attire, to more subtle ways such as candles on reception tables and accents in aisle decor. A great way to figure out the look you’re going for is to work backwards from the color scheme you want for your bridesmaids and groomsmen. We’re over winter, and to find out what’s trending for men, we combed through The Black Tux’s spring suit and tuxedo rental collection , which features wonderful colors like grey, lilac, and slate. For the women, we love David’s Bridal’s lookbook of ideas which includes muted yellow, blushy pink, and moss. Now, how to pair them? If you’re looking for a wedding that is more soft and playful, we recommend incorporating warm blush with a gentle grey. If you’re looking for colors that will stand out more and give your wedding colors a deep contrast, pairing lilac and green is a great option. Finally, to keep that classic wedding look but hold true to the spring season, go with slate and moss. Slate is similar to the classic wedding look of a black tuxedo and moss has a way of looking earthy and natural. Use these wedding colors in save the date wedding invitations, flower arrangements and table centerpieces to really bring it all together. Find a venue that is able to make the wedding you have dreamed come to life. Use your personal style and trending seasonal colors to enhance beautiful details of your wedding. Don’t stress and let all the details come together for your wedding day! This entry was posted on Thursday, March 15th, 2018 at 3:59 pm. Both comments and pings are currently closed.